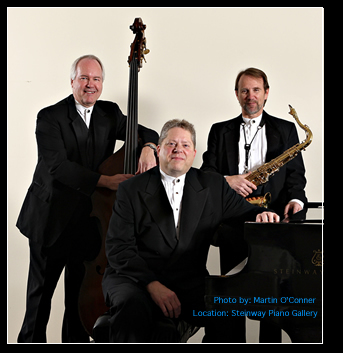 You and your guests will enjoy the elegant and classic sounds of jazz standards as performed by the Nashville Chamber Players Jazz Duo, Trio or Quartet. We can either use an acoustic piano if your location has one, or bring electronic keyboard. A Female or Male vocalist can be added to the Trio or Quartet. Only when using a vocalist does the group need to bring a sound system. Specific requests should be made one month in advance, if possible, in case they are not in our regular repertoire. We also frequently take requests during the function. Individually, the members of the group have performed in concerts, on television/radio, on recordings, or in pit/show orchestras for the following artists/shows: Nashville Symphony, TPAC musicals (over75 shows), H. Connick, Natalie Cole, Bernadette Peters, Johnny Mathis, Burt Bachrach,Maureen McGovern, B. Manilow, Amy Grant, Crystal Gayle, Gladys Knight, Ray Charles, Temptations, Four Tops, O'Jays, White House Presidential events, Lorrie Morgan, R. Milsap, Faith Hill, Nashville Jazz Orch., Three Dog Night, several contemporary Christian recordings, numerous symphony orchestras (w/ C. Gayle), many other pop and country artists!